The Dribble Up soccer ball, smart ball app, and the coach’s dashboard helped us run a soccer skills contest this summer during the World Cup. If you’re a parent or a coach this will be a Dribble Up review of how you can run a contest for your family or run a soccer skills contest for your team. Our main goal was to get players more touches on the ball over the summer. I’ve always wanted to run a soccer skills contest like this for our team but until now there wasn’t a great way to plan, coordinate, and track the players, drills, and results. We’ll share some suggestions for Dribble Up on ways to make it better but overall it was a success and our experiment got in over 30,000 touches in 30 days! I’ll go into all the details of how we setup and ran the contest for other coaches that want to get their players on the ball, but I’ll be honest, it was a lot of work. It didn’t help that we were on our family vacation and then away at summer camp during most of the month-long contest, but two things made it worth the effort. Since it was the first time running a soccer drills contest we reached out to parents during the month to see how we could make it better. We heard some useful feedback that we tried out, but the most rewarding responses were from families who were loving the contest and were in the smart ball app and on the ball every day. Summer is a busy time for soccer families. It’s hard to schedule regular weekly training because you’re out of town and trainers/coaches are on vacation. Plus, a lot of parents and kids want to take time off from the busy schedule of training and give their brains and bodies a break. However, I figured putting in 5 minutes a day on ball work would be a reasonable thing to tryout. So, the test was to see if we could get consistent touches on the ball using both feet every day over the course of a month. 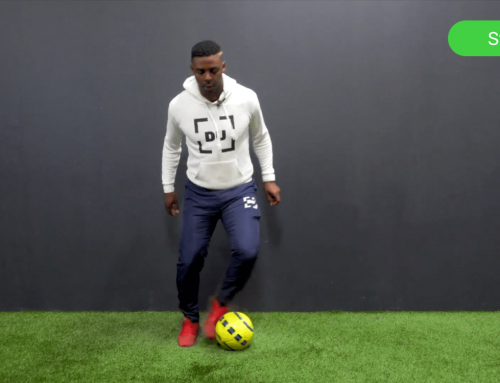 Simple & unopposed reps using a variety of drills to get them moving the ball & their body in different ways & manipulating it with different parts of their feet. Turns out that we were able to get touches in every day except for one jam packed Tuesday at camp when the kids were asleep almost before their head hit the pillow. They did playlists at rest areas, hotel hallways, living rooms, patios, dorm lounges, parks, sidewalks – never once on a soccer field – but several times during half time of a World Cup match. One of the cool things about the smart ball is being able to go back and look at the data. Over 30 days he did 787 drills in the Dribble Up app. Although that averages to about 26 drills per day there were some really busy days where he’d only do 10 drills but then other days where he’d do 40. For example, towards the end of the month he realized he was almost at the top of the big leaderboard so there were a few days where he hit it really hard to get up to 2nd place overall. Looking back at the data he averaged about 12 minutes a day on the ball, definitely more than the 5 minutes we were targeting. Over the 30 days he got in about 31,100 touches so over 1000 touches a day. All that training was great but the real question was whether all those reps would make a difference on the field. Our first training session of the season started off with some 4v4 play in a pretty tight space. The head coach spent time talking to the parents while the assistant coaches sat back and watched the 4v4. It’s a mix of kids that haven’t all played together before so it was a chance for them to get on the field together for the first time. After observing about 20 minutes of play in a smaller space it was obvious the time spent on the ball had paid dividends. Since the end of the previous season both ball control and confidence on the ball had increased. That’s what you would expect and the reason that so many people buy Dribble Up but it was our first experiment to really test it out over a period of time. Thanks to our busy summer we didn’t play in any leagues or do any regular training so the only consistent touches they got on the ball were using DribbleUp. After getting on the field after 30 days of footwork I noticed the constant process of scan, decide, play was both sharper and faster. The turns and moves were more decisive and stronger. The ability to evade pressure and then turn the ball or find a teammate meant more possession and more scoring for the “blue” team he was a part of. It was good to see the work paying off both because it made him a better player but also to know that contests like these have the potential to motivate and improve youth players around the country. If you’re interested in doing something similar keep reading and we’ll go into detail about how to set it up and run the contest. The most important factor in getting kids to put in extra work is motivation. Ideally every kid would be self-motivated and young soccer players would be in the backyard or park working on their foot skills every day on their own. Since motivation levels vary across players, a contest is a great way to get everyone fired up to train. This is true particularly when you’re talking about consistent practice. I’d venture a guess that the percentage of kids who kick around twice a week in the backyard is much larger than the percentage of kids who are doing footwork every day of the week at home. Of course, we all know kids that are out training on their own every day…. but for every one of them how many more do we know that don’t have that same level of intense motivation to improve? A contest gives them a reason to get on the ball for the duration of the contest. Tying the duration of the contest to some real-world tournament or league can be a great way to get kids even more excited about competing. In our case we ran it in conjunction with the World Cup so there was a lot of enthusiasm to tap into after watching the best players in the world on the field using their moves. Of course the World Cup is only every 4 years but you could do the same thing with the Euros, Gold Cup, or the Champions League. You could also use run a contest alongside part of the season for Bundesliga, La Liga, English Premier League,etc. It’s not quite as exciting in terms of a tournament atmosphere but lots of players know those leagues and would be another good reason to encourage players to watch more soccer. Another way to motivate kids to compete is to offer rewards. You know best what will motivate your players in terms of a reward – you can get pretty creative when setting up your rewards structure. One thing to consider when you set up the rules for rewards is what behavior you’re trying to encourage. We wanted to encourage a lot of touches on the ball so we setup our contest to run daily and so that every playlist you completed gave you an entry in the daily contest. The more drills a player went through the more entries they earned and the higher their chances of winning the contest for the day. We knew many kids were going to spend a part of their summer playing video games so our incentive tried to balance that with time on the ball. Our daily prize was an Xbox digital gift card that players could redeem in their video games. We also offered a PS4 version for kids that play on the PlayStation. 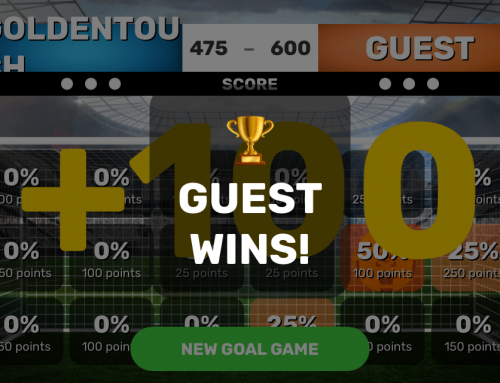 The idea was that players could see quick results from their efforts if they won (from a prize perspective) since they could cash in their winnings once we sent them out. Also, it was a prize that they’d want to win again so they wouldn’t slack off after winning it once. We wanted them to be motivated to be on the ball as much as possible every day. Since we were running the contest around the country it was also easier to distribute a digital prize. The Dribble Up app actually lets you go through the drills with a regular ball and we wanted to encourage as many players to participate as possible so we gave people an entry for doing a playlist. We gave them a bonus entry for doing it with a smart ball because that way we could confirm the player actually went through it. After the player does the footwork in a playlist they’re given a score on how well they did. Typically, when a youth player does a playlist for the first time they run into at least a few drills where they have room for improvement. After they go through the drill enough times the score gradually rises if they’re working to improve. I always tell players that rather than worry about the score, focus on the execution of the drill and the score will sort itself out. I bring this up because you could give entries based on score but it would be a lot of work to track in the current setup. We did give an extra entry if a player earned an A on a playlist. We did this because I wanted kids to think about the technique and not just rush through the footwork. Another way to handle that would be to not award entries for scores below a minimum level but I didn’t want to discourage players who were just getting started and learning the skills. When a player’s confidence is lowest is when they’re most vulnerable to stop trying based on a bad score. Our contest was daily so players had a chance to win every day. We didn’t put any limit on how many playlists a person could get an entry for completing so the more they did in one day the higher their chances of winning. At the time the smart ball app didn’t easily show how many days in a row you’d practiced with the ball. Since then the Dribble Up app has released an update that shows your “streak” of training days, so you could give a bonus entry for every day they keep that streak alive. The Dribble Up app does have multiple levels of difficulty that it assigns to drills so you could create playlists based on difficulty levels and award more entries for higher skill levels. I’ll talk later about how we created playlists but we didn’t offer more rewards for more difficult drills. The age and skill level of players in our contest varied so we tried to assign a range of playlists to accommodate players at multiple levels of development. We didn’t want to discourage the younger players by offering the older or more skilled players a greater chance of winning. One of the nice things about the smart soccer ball and the app is that it keeps track of the players training data over time. In the next section we’ll look at some of those stats the contest but the ability to track the data could allow you to offer rewards or bonus entries based on improvements in drill performance, increased frequency of training, or tackling more difficult drills over time. Right now, this would be pretty manual since there’s nothing that calculates it for you in the dashboard but I really like the concept. Over 30 days he averaged about 12 minutes a day. This chart shows drills per day but you can see that the number each day varied based on what was going on in our summer schedule. For example, you can see the number per day drop the week we were at camp because pretty much every minute was scheduled and the only time he could get in his footwork was 10 or 11 PM once the day was done (and he was supposed to be in bed). The cool thing was that even though he was exhausted those days he wanted to work on his foot skills because of the contest. One night we were both so tired we forgot, you can see it drop down to zero one day during the month, but 29 out of 30 is pretty good consistency. Seems like this is a decent illustration of how if you commit to doing something regularly the end result can be good even if you don’t spend a ton of time on it each day. Of course, you don’t need a smart ball to work on your skills each day. We could just have easily stuffed his regular Adidas ball into the camp bag. The nice thing about the app and the Dribble Up ball was the accountability. On those days when he was tired and wanted to skip he couldn’t just “mark it down” that he’d done footwork – the app only gave him credit if he actually put in the work. If you look at the trend line you can see the overall number of drills per day gradually increased over the month, I’ll talk more about that in the Playlist setup section. Some drills were specific to a foot, like Right Foot Roll Tap or Right Foot Roll Chop, but they all had corresponding left foot versions and we tried to balance using both feet when creating the playlists. So overall, he strengthened both his strong and weak foot during the month. This was important for him because he likes playing in the middle of the field and really it’s good for any player to be skilled with both of their feet. The Dribble Up app gives players a score based on 4 factors – Speed, Control, Consistency, Pattern. The lowest score he earned was a C+ and many of those were ones he did with his weak foot. Even though the number of drills with both feet was pretty even he didn’t have as much control with his left. Looking back it would have been better to assign more weak foot versions of a drill to get in more practice on those. The “NA” category are drills that DribbleUp doesn’t track for performance yet, simply that they’re completed. One thing that makes it tricky is that you’re assigning drills to a group of players so weak vs strong foot will vary depending on the group. It would be nice if Dribble Up stored the player’s weak foot in their profile and we could assign “Weak Foot” drills and “Strong Foot” drills and the app would have them do the Right or Left footed version based on their profile. Another area where he trended to lower scores was combination moves like triangles to sole fakes or triangles to L turns. That makes sense because they’re more complex and I didn’t include as many of them in the playlists so he practiced them less. Although combining moves on the field is a great way to deceive an opponent so definitely shows an area he needs work. One suggestion for Dribble Up would be to keep track of drills that players did the worst at and let them know which ones needed the most work. For example, after looking through the scores over the month he seemed to struggle the most with the “Outside Outside” and “Back Side Turns”. I remember hearing him complain about the “Outside Outside” a few times as he went through it, that it was tough for him. That would be a good one to focus additional work on to add comfort with that movement to his soccer toolkit. One thing we saw was an improvement in scores over time. This graph shows the breakdown of scores for the first two weeks of the month vs the 2nd two weeks and you can see a higher percentage of better scores in the second half. It makes sense because he had 2 weeks of going through those drills under his belt but it’s nice to see that the reps led to improved technique. Building the playlists took a while at first because I tried to design them using a progression of similar footwork. Kind of like you might design a training session to focus on one specific area and not be a hodge podge of skills the goal was to make playlists that were composed of related moves. For example, one playlist might have drills that involved using the sole of the feet. When I created the “La Furia Roja” playlist it included drills that worked on changing direction and turning with the ball. After the first week and a half of creating playlists it got easier because I was able to start re-using some of them or making a copy and tweaking them slightly. The coach’s dashboard makes it pretty easy to clone a playlist and change it, one thing that would be nice would be the ability to categorize similar playlists so if you had several that were variations on each other you could group them together on the back end. That way when you’re assigning homework it would be easier to know more about a playlist you created several weeks back. One thing we touched on some already was that as the contest went on I created longer and longer playlists. We started out in the beginning with 8 or 9 drills in a playlist and as the days went by we gradually added drills. As you can see here towards the end of the contest we had playlists of 14-15 drills. During the contest we assigned multiple playlists each day. The way homework assignments work now isn’t perfect because you can only assign playlists for one week at a time. It would be nice if you could assign multiple weeks out. The current setup makes it more challenging to plan a multi-week contest or for a coach to plan a few weeks of foot skills training. We still used the Homework for the contest, it was just a little more work. Each day when the player opened their app and tapped Daily Workout it showed them the playlists available for the day. We started off with just assigning one playlist and the player could go through it as many times as they wanted. Each completed entry earned them another entry in the contest. Quickly we discovered it wasn’t very exciting to work on the same playlist multiple times in a row, so we started adding multiple playlists for homework each day. We added our custom playlists and a few pre-made ones from Dribble Up as well to give the kids some variety. Some of the feedback we got from parents was that the playlists we were creating/assigning were too difficult for some of the younger kids and was getting a little discouraging. In some families the older sibling was enjoying it but the less developed players were struggling so we started using a range of playlists each day. We went with an approach of having 3 levels of playlists, each with an increasing level of complexity and also number of drills. We tried to add multiple playlists at each level to give the players some variety. Currently there’s no way to indicate the complexity level of the playlist or the “level” so we simply listed them in a range of most challenging at top and simplest at the bottom. 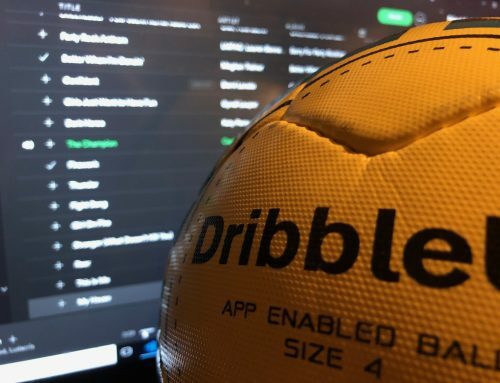 Playlist Ordering – One suggestion for Dribble Up is to allow us in the coaches dashboard to re-order the playlists for the day after we assign them. If you want to add another playlist and the order which they appear in the app is important to you (it was for us b/c that’s how we showed the various levels) you must remove the playlists you’ve added and re-add them all in the desired order. Playlist Categories – Another suggestion would be to let us assign categories to playlists, we could then use those to organize and display the playlist by level. That would also be a helpful feature for coaches who might want to assign playlists by topic (turning the ball, juggling, etc) or by player role (back line, mid-fielders, strikers). Favorite / Worst Drills – As we went through the contest my kids figured out their favorite drills, for example multiple times I heard my daughter commenting she really liked the Push-Out drill. From a player’s perspective it would be nice if they could tag their favorite drills and then each player could have a “Favorites” playlist. That would be nice for a contest because if they wanted to get more entries they could run through a playlist of their favorite moves. Similarly, if there was an automatically generated playlist that kept track of their worst scoring drills it would be nice each day to have them work on the drills that they needed the most work on. Picking a daily winner was the most arduous part of running the contest. We kept a spreadsheet with the Dribble Up handles of the players in the contest and would update it based on their stats in the coach’s dashboard. Basically each player had a row in the spreadsheet and would get a certain number of entries each day based on the number of playlists they completed. They also received bonus entries for using a smart ball and for earning a score of A+. Those entries were each assigned a number by a formula in the spreadsheet and we used Google’s random number generator shown here to choose the winning number for the day. Obviously, this was time consuming so we eventually figured out a way to automate the process to make it go more quickly. However there were still manual steps involved which meant we were typically behind on notifying the contest winners. The players were patient in waiting to find out who won each day but announcing the winners sooner probably would have been better motivation to keep more kids active each day. I was happy with the approach of basing the contest on participation and not on skill level. This allowed a variety of ages and skill levels to participate. Players competed against each other by who trained the most each day so it motivated them to get more touches. Having it daily gave them a fresh start each day, they didn’t get “behind” the person on the leaderboard and get discouraged. We tended to batch up choosing winners and sending out prizes so we’d do multiple days at once. After we figured out the winner we’d notify their parents and ask them if they’d prefer a PS4 or Xbox gift card. Then we’d buy them online and email the code to the parent of the winner. Next time we run the contest we’ll branch out and add additional prizes so we can motivate players who don’t play video games. Finding sponsors for the prizes was another time intensive part of running the foot skills contest. It definitely required a good deal of pre-work to communicate with companies or products that the players would be interested in. Whatever the duration of your contest, it helps to come up with a list of 2 or 3 times the number of actual sponsors that you’ll need because some won’t get back with you until later and some won’t be interested in participating. You’ll likely have a lot more success dealing with small or medium sized sponsors because the big companies take a lot longer to make decisions and a lot of them don’t even have a process in place to be able to sponsor a $10 prize for the day. You may encounter some companies that prefer to give away their own product as a prize rather than support the prize that you’re offering. Keep that in mind when you reach out to sponsors because logistically it could be difficult to deliver certain products. As part of being a sponsor we also included a summary of their site, product, or service in the contest announcement each day. It really helps to work with companies that you know well because it makes putting together the write-up a lot easier. If you choose companies you’re not familiar with it requires a lot more research and prep time. One of the cool things about having prize sponsors is that if you do it correctly you can introduce your players and their families to a lot of neat tools that will really help “soccer dads” and “soccer moms” out there. I know we’re very thankful for all the companies we worked with that helped motivate the players in our contest and that so many were willing to participate is a good sign for youth soccer in this country. After reading through the story of the contest you may be thinking that it’s too much work to host something like this event and that the effort isn’t worth the end result. From our perspective, two things made it worth the time and money. The first was the enthusiasm that it generated in the players that joined the virtual “Soccer Stripes Squad”. As a coach you can teach kids tactics and technique but what’s tricky to inspire is getting them to play with passion. If you get them to love the game and to be excited to train it’ll make the soccer experience more rewarding and make them a better player. Each kid is motivated differently but the fact that contests like these get some players into the game makes it worthwhile. The second reason is that all these reps on the ball can really build confidence in a player. All these touches give them additional control and that ease with the ball translates to more confidence on the field. The gift of confidence is one of the most valuable things you can give a young player. However, you can’t really “give” it to them, they have to earn it. Buying them a new pair of cleats might make them feel good for a few minutes into the game but unless they have the control and moves to back up those shiny new shoes it will be temporary confidence. Contests like these are a great way for players to build that confidence and after these 30 days we’ve seen great results in 1v1 situations, small sided games like 4v4, and on the full pitch. Our goal in publishing this is to make it easier for you to run a contest if you think it would help your players. If you like the idea but don’t have the time then we’d invite your players to join the contests we’ll be running with this virtual team. 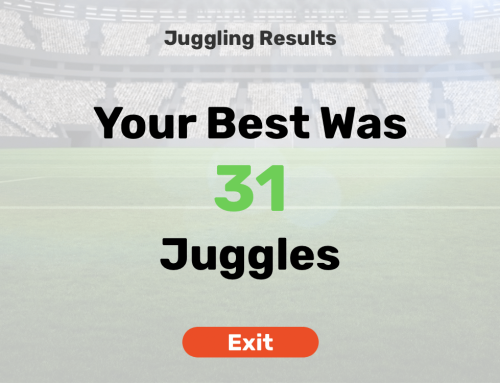 Update – After the contest ended we discovered that the smart ball app actually counted a players touches as they went through the drills. That data isn’t available in the coaches dashboard yet but we asked the team at Dribble Up to run a report for this contest and it turns out that for the 30 days he had over 31,000 touches. To help your player get over 1K touches a day have them join our virtual team. If you’d like to learn more about the Dribble Up ball for your player or about using the ball as a coach or for your club you can enter your email below.